1. One of the top reasons to use AI is to make superior replacement females, and Gus is a bull that will do just that. His mother is deep and good footed with exceptional udder quality. 2. His first set of duaghters are due to start calving this spring. They are fault-free easy doing females that offer the longevity that every cattleman seeks. 3. 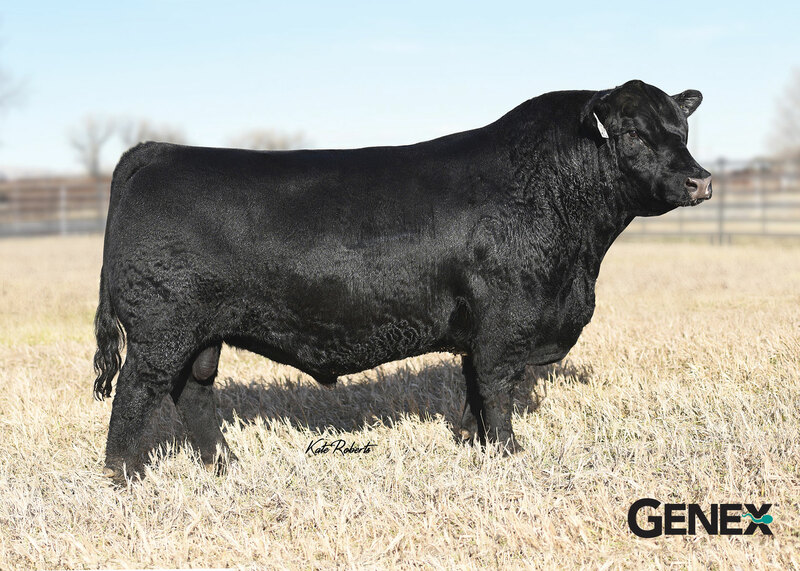 Gus is a calving ease bull that scanned a 16 inch rib eye , he sires extremely complete , consistent calves. They have alot of volume and muscle expression that is supported by extremely good feet and legs.